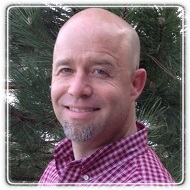 Loveland Therapist: Bruce Rumsey - Therapist 80538. Send A Message To Dr. Rumsey. I bring over 20 years of experience working with individuals, couples, families, groups and organizations. I can help you transition through your current challenges to find stable ground. In counseling, you will rediscover your inner resources and maximize your many skills and talents. Most importantly, I want you to feel comfortable and confident in your work with me. I offer a free consultation so you can come in and discuss your challenges and find out if we are the right fit. Life catches all of us off guard, sometimes. I will help you successfully overcome the hardships that are holding you back. Through years of research and experience, I have created a 5-stage Model of Change, which draws from a variety of theoretical orientations, including Neuro-Linguistic Programming (NLP), Cognitive-Behavioral Therapy (CBT), Exposure Therapy, and Social Learning Theory. I have served as full-time graduate faculty in the College of Psychology and Behavioral Sciences for over ten years, and I currently serve as Associate Professor at Argosy University, where I was chosen as Outstanding Faculty Member, 2012. I am a Licensed Professional Counselor (LPC) and a Master Addiction Counselor (MAC). I am certified in Neuro-Linguistic Programming (NLP), and trained in Eye Movement Desensitization and Reprocessing (EMDR). I am also a member of my profession's national honor society: Chi Sigma Iota. In addition to individual and couples counseling, I have supervised master and doctorate level clinicians during my career, provided executive coaching and trainings, presented my model of change in a myriad of training and educational settings, and facilitated multiple relationship workshops. Married since 1993, my wife and I have five children.